During a recent interview, Michelle Knight revealed how her captor Ariel Castro would keep her and the other two women locked in an upstairs room when guests would come to visit – blocking them in with piles of furniture. Using a model reconstruction of the Cleveland horror house, Michelle Knight, who has changed her name to Lily Rose Lee, explained how Ariel Castro “would take speakers, a couch, chairs and block anyone from getting up the stairs at all”. Michelle Knight, who spent more than a decade locked up, revealed that she has moved into her own apartment and started cooking classes as she dreams of becoming a chef. She escaped on May 6, 2013, along with Amanda Berry, Gina DeJesus and Berry’s 6-year-old daughter from the Cleveland home. Michelle Knight explained how at times during those long years in the house she contemplated suicide but that her friendship with fellow captor Gina DeJesus kept her strong. She earlier revealed that she has cut ties with Amanda Berry and Gina DeJesus. Michelle Knight explained Today Show that the three survivors have put distance between each other as they all come to terms with the ordeal they suffered. Michelle Knight has written a memoir Finding Me which comes out on May 6, the one-year anniversary of the women’s escape. In her book, she tells of the abuse she suffered at the hands of Ariel Castro, who killed himself in prison in September just weeks into his life sentence. She also reveals in her book the close bond she developed with the other women, who were all snatched off the streets of Cleveland by Ariel Castro between 2002 and 2004. 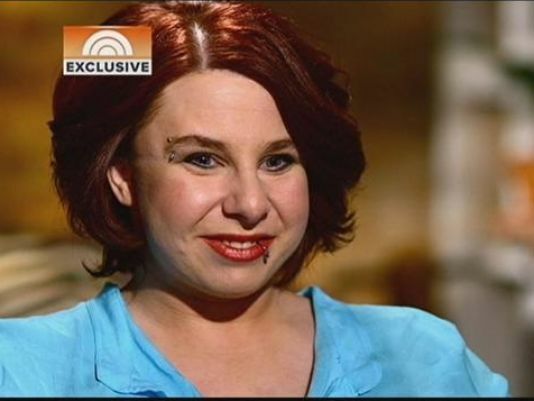 Michelle Knight, who is 4’11, said that her hellish ordeal has taught her to enjoy every moment of her life. Michelle Knight was the only one of Ariel Castro’s three victims to appear in person at his trial. Gina DeJesus and Amanda Berry’s victim impact statements were read by members of their family.